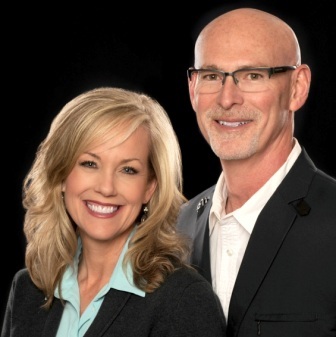 We are a husband/wife team specializing in residential real estate sales in the greater Thurston County region. As full time agents, we’ve worked with hundreds of clients to help them to realize their vision for the future, whether buying, selling or building a home. Together we bring a variety of talents, backgrounds, perspectives. From presentation and marketing to negotiating terms, educating and providing direction, we promise to skillfully guide you through each step of the home buying/selling process. One of the greatest challenges for any real estate professional is needing to be in two places at one time. As a husband/wife team we can do just that! We love what we do and we look forward to helping you in any way that we can. We are active in our community and participate on the board of directors for Senior Services for South Sound, Washington Center for the Performing Arts, TwinStar Credit Union Foundation and have both participated in Leadership Thurston County. We enjoy walking our ten year old black lab (Riley), golfing, hiking, skiing… really all things Pacific Northwest!